Clothing, gifts, novelties -- Out On the Street has it all! Not a big place, but at good selection of clothes and underwear (two top floors) - my straight companion also liked it :-) - Go to the lower level for the rainbow items and toys. Freindly and helpful staff. I have been in here a few times and today I bought some underwear. 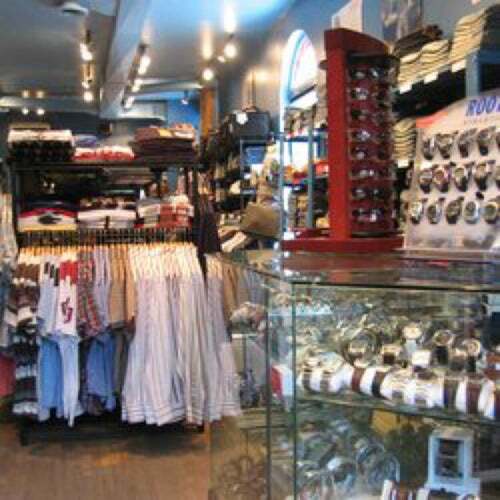 The store is very nice and caries a wide variety of items and brands. The staff are all very nice,knowledgeable and approachable. The prices are really good and they carry a lot of hard to find brands. Came to Toronto. Went into the store, nice stuff but was not what I was expecting. For me I was in and out of the store within 10 Min. Sales clerks try to be nice, but you know they just don't care. sorry.